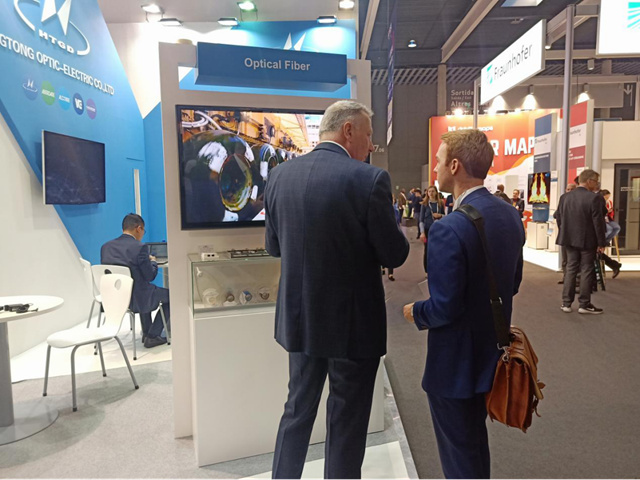 From February 25 to 28, 2019, MWC 2019, sponsored by the GSM Association, was held at the International Exhibition and Conference Center in Barcelona, Spain. The annual event, acting as the biggest event in the mobile communications industry, has attracted a large number of global technology giants in the communications and mobile industries. 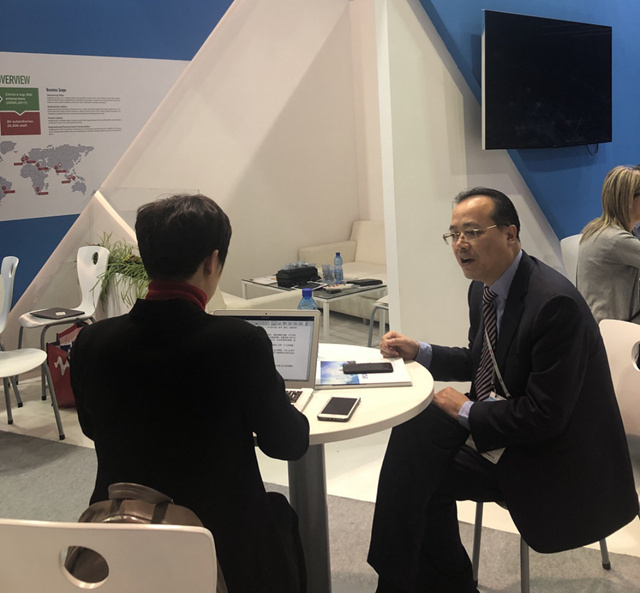 Hengtong, who participated in the MWC held in Shanghai for many years, made its debut in Spain's main venue of the World Mobile Congress this year, demonstrating its brand strength to the global communications industry. The Mobile World Congress, called the "mobile communication vane" by the industry, is one of the most influential exhibitions focusing on the field of mobile communications in the world, regarded as a golden stage for many operators and equipment vendor to release their latest scientific research results. During MWC 2019, 5G technology was once again pushed to the hot spot, with 5G prototype phones, 5G-related wearable devices and accessories attracting the public's attention. 5G are based on optical fiber and cable. 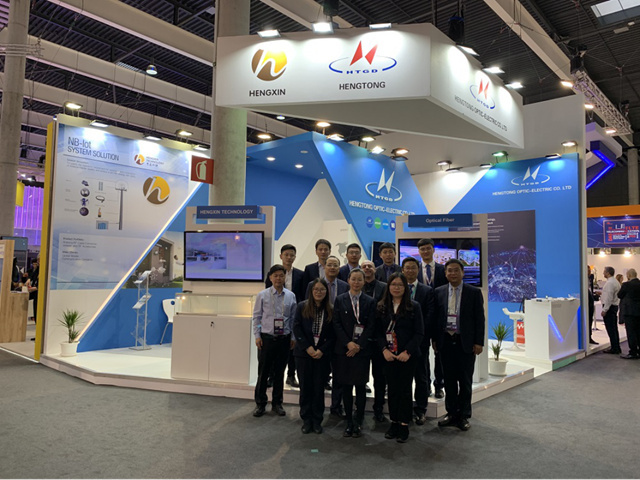 As China's leading system integrator and network service provider in the field of optical fiber networks, Hengtong demonstrated the solutions of 5G special optical fiber G657A1, air blown micro-module optical preform, Silicon photons and other solutions in the exhibition, displaying its comprehensive strength. The all-environment blowing micro-cable series, independently developed by Hengtong, possess the key technologies of low loss and ultra-low loss, which can optimize the latency performance of the network and support the construction of the 5G local network in the future. Meanwhile, Hengtong's new 5G high-density optical cable facilitates the forward transmission and large-capacity information transmission and interaction of 5G wireless access, satisfies the eMBB application scenario, and meets the requirements of fast and reliable cabling for 5G high-density access. 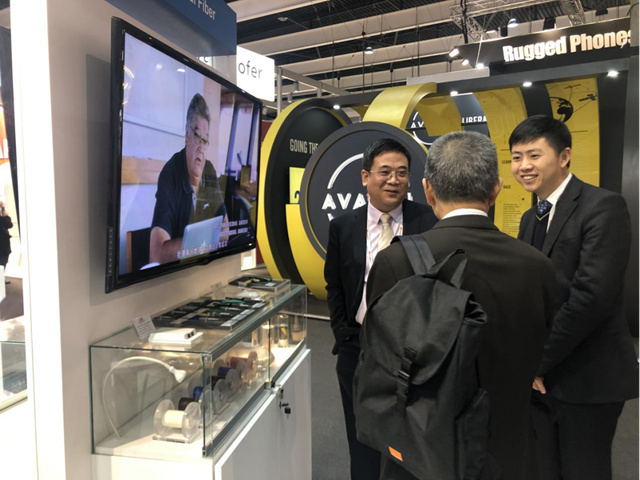 Hengtong also showed the integrated antenna-feed solution for wireless communication, including broadband, high-frequency gain base station antenna series and low-loss feeder technology and products. The benefits of 5G are reflected in three application scenarios, enhanced mobile broadband, ultra-reliable, low delay and mass machine communication, which requires a more dense distribution of the antenna, with the characteristics of more compact, lightweight and highly integrated. Hengtong’s 5G antenna, for European operators, supports up to 3.8GHz and has a more compact size. All above functions achieve the win-win strategy that develops with clients by taking the customer's demand into consideration. The future industry development and the continuous emergence of application demands are fantastic and crucial opportunities for Hengtong to continue to strengthen its cable business. In the near future, Hengtong will continue to increase research and development as well as investment in 5G bearer technology, with the purpose of promoting industrial change with advanced technology, and boosting global 5G industry.